Does anyone ever pause to consider how Melania Trump is feeling these days? Saturday Night Live sure does. 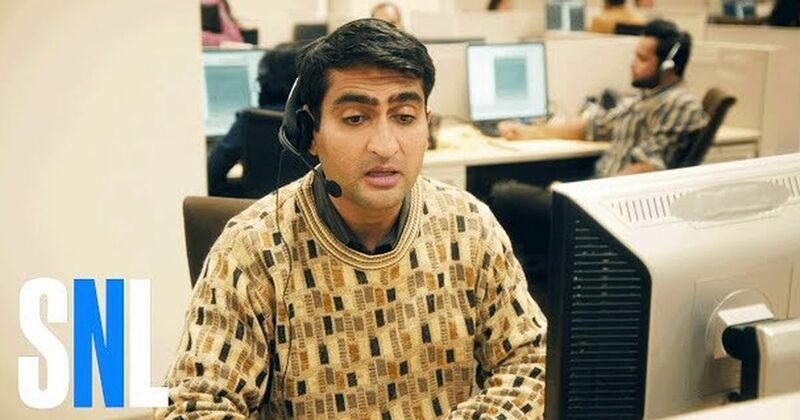 In the weekly sketch comedy series’ latest First Lady bit, guest host Kumail Nanjiani swoops in as a patient, empathetic call center operator in Pakistan. When Melania chases away the sadness with mail-ordered Gucci handbags, Nanjiani’s nameless operator to help her with delivery issues… and life issues as well. It’s weirdly touching and heartfelt, in SNL‘s typically absurd way.